Multi-published author RADINE TREES NEHRING and husband John moved from Tulsa, Oklahoma, to rural northwest Arkansas in 1988 after spending weekends on their Arkansas land for ten years. Radine began writing a series of articles, essays, and stories about the Arkansas Ozarks shortly after she and John bought their land, and these found interested readers around the globe. Many were collected in her first book, DEAR EARTH: A Love Letter from Spring Hollow, initially published in New York in 1995. When asked which of her books is her favorite, DEAR EARTH is the one Radine names. It is still available in print, has been published in Chinese, and also sells well in e-book form. Radine says all of her writing expresses her love for the Ozarks and when she began writing her "To Die For" traditional mystery series in 2000, Ozarks tourist destinations were natural settings for her. "I enjoy writing about what I love and sharing these places with readers everywhere. Both they and I experience my chosen destinations as the story unfolds." During her writing career, Radine also wrote and hosted a radio program, "Arkansas Corner Community News," for ten years. 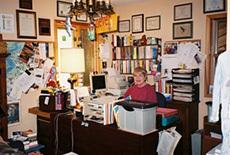 The program, as well as all her other writing, featured unique people, places and events in the area. She has received many regional and national awards, including a National Silver Falchion for mystery writing and the Governor's Award for the best writing about Arkansas. 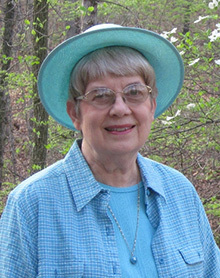 Radine was the 2011 inductee into the Arkansas Writers' Hall of Fame.